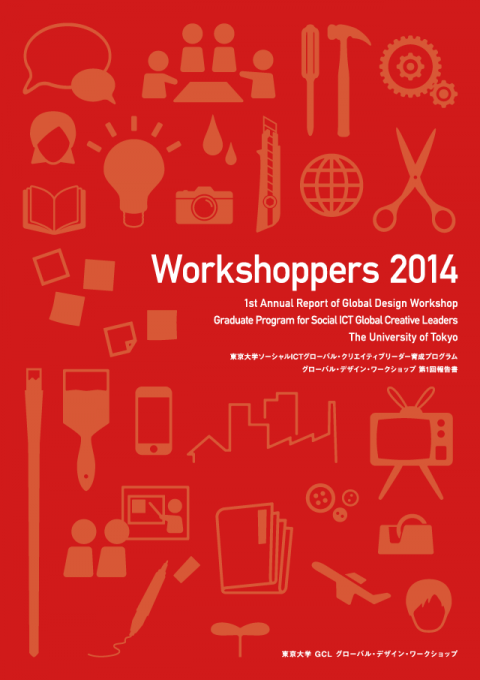 Cover design of annual report published by Global Design Workshop, Graduate Program for Social ICT Global Creative Leaders, The university of Tokyo. 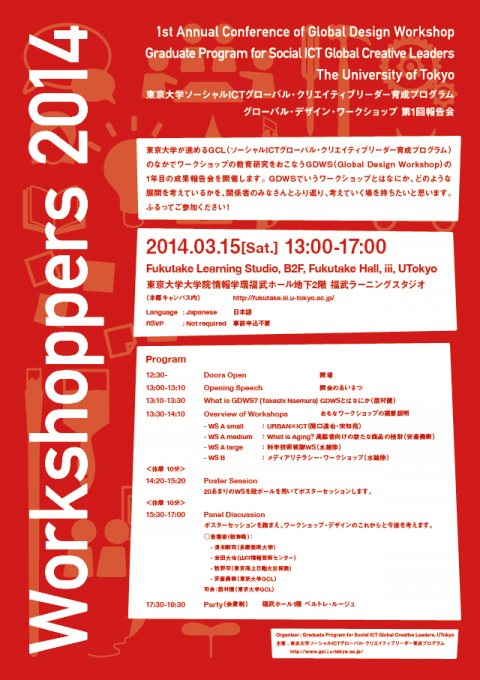 Sprinkle many pictograms related to workshop. This annual report were handed to professors and students who joined this graduate program.